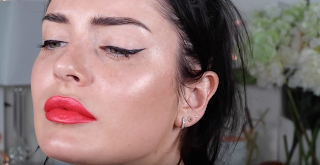 Chloe Morello: HIT or MISS?! Trying LUSH (Handmade & Ethical) Makeup! HIT or MISS?! Trying LUSH (Handmade & Ethical) Makeup! Hey guys! So a little while ago I picked up some makeup products from LUSH which I’ve never tried before, so I thought I would do an everyday makeup look to test them out and let you know what I think! 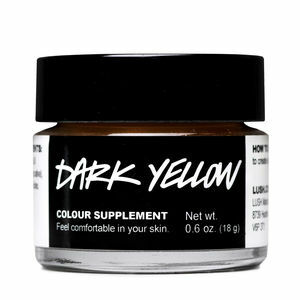 First is the Colour Supplement in “Dark Yellow”. This is their foundation. 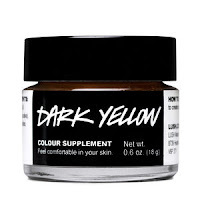 It blends out easily and feels more like a tinted moisturiser than a foundation. It looks pretty on the skin but man was it shiny! My skin was quite oily at the start of this video and this foundation didn’t get rid of that. Lush do sell powder but I didn’t get it - wish I did! 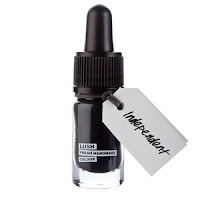 Next up is Colour Eyeliner in “Independent”. It was great and easy to use! 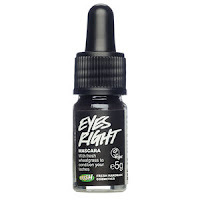 It tidies up easily (v. important for when doing winged eyeliner) and isn’t flaky at all! I love it. Okay on to the Eyes Right Mascara. It was a really cute little brush but super impractical packaging - you can't wiggle the brush around to pick up more product. It’s not clumpy at all which is one plus. 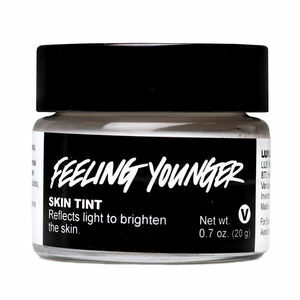 Next I tested out the Charisma Skin Tint and the Feeling Younger Skin Tint. I started out with the bronzing Charisma one and didn’t see a whole bunch of difference to be honest. 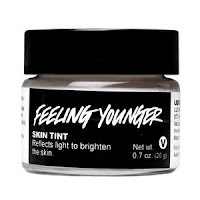 The Feeling Younger highlight was really pretty. 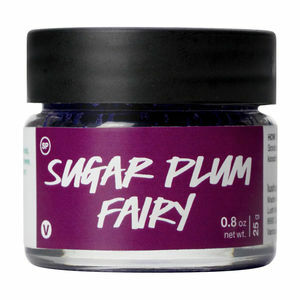 For my lips, I tried their Sugar Plum Fairy Lip Scrub. It smellls SO GOOD and tastes great too. I feel like it doesn’t really take off much dead skin but it helps by getting blood flowing to your lips. For the lipstick I took the Handmade Colour Lipstick in “Believe”. 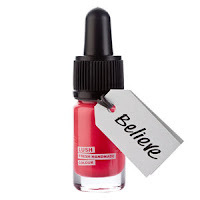 It’s a beautiful shade - like a pearlescent sorbet watermelon and very creamy! Overall I was pretty impressed with these products though I did end up powdering over the whole look with ‘Un’ Powder by RMS because I had to go out in public after this tutorial and my skin was just TOO. SHINY. Check out the video below to see how they held up after a few hours of wear! I've gotten back with my ex and you can fix your broken relationship & bring back your ex-lover fast. I'm Angel Wesley from the United States, My husband and I have been married for about 6yrs now. We were happily married with two kids, a boy and a girl. 1 months ago, I started to notice some strange behavior from him and a few weeks later, I found out that my husband is seeing someone else. He started coming home late from work, he hardly care about me or the kids anymore, Sometimes he goes out and doesn't even come back home for about 2-3 days. I did all I could to rectify this problem but all to no avail. I became very worried and needed help. so i searched for help online and I came across a website that suggested Dr Unity can help get ex back fast, restore broken relationships and stop a divorce. So, I felt I should give him a try. I contacted him and told him my problems and he told me what to do and i did it and he did a love-spell for me. 28 hours later, my husband came to me and apologized for the wrongs he did and promise never to do it again. Ever since then, everything has returned back to normal. Thank you Dr Unity for saving my broken Marriage and brought my husband back to me!".. I and my family are living together happily again. Dr.Unity is the best online spell caster that is powerful and genuine. If you have any problem contact him and i guarantee you that he will help you. Here’s his contact,Email him at: Unityspelltemple@gmail.com ,Call him or add him on whats-app: +2348071622464. My mind, for some reason, wont let go of the memorys of My Wife. I had a very big problem with my wife few months ago, that lead to her leaving me. All efforts to get her back proved abortive. one day while going through the internet i saw so many testimony of this great man called Dr.Goodluck and how he helped people with all kinds of problem, his advert was everywhere,. Although I never believed in spell casting, but I had no choice than to give him a try so i contacted Him, I was so desperate to have my wife back with me once again. So I did all he told me to do. He told me that my wife will come back to me in the next 17hours after the spell is completed. I was skeptical. He casted the spell for me and i was so anxious waiting to see or hear from her, it was just 14hours after the spell was done my wife called and said she was coming HOME and she was asking for forgiveness for her ever hurting me before…..It was a dream come through for me!!! that was how my family and relationship was save and our relationship is now stronger than ever.my advice to you out there facing same problem or even worst then mine cry no more and contact this great man called Dr Goodluck He is capable of handling any kind of problem.